This is a thoroughly revised edition of Roger Smith's book published in 2003. 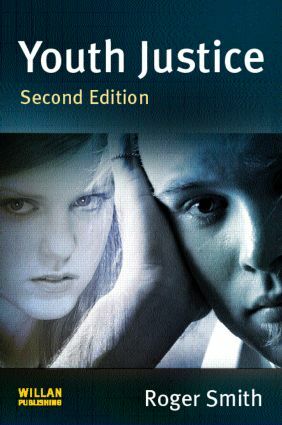 The book provides a comprehensive and critical overview of the youth justice system. It begins by setting the youth justice system in historical context, and then assesses the impact of political ideas and influence on both the structural arrangements for delivering youth justice (such as the Youth Justice Board and Youth Offending Teams) and practice initiatives (such as moves to implement forms of restorative justice). Taken together, these present serious challenges to those delivering youth justice. The book goes on to offer a critique of current developments, explores the options open to practitioners and service providers, and some of the possibilities for positive intervention. Finally, a detailed agenda for improvement at all levels is set out. This new edition offers an up-to date analysis of the most recent developments and trends, including the increased reliance on Anti-Social Behaviour Orders to control the behaviour of young people. This book will be a resource for youth justice practitioners and essential to students taking courses in youth crime and youth justice.